The winner of Rockstar Games' Movember mustache contest has been chosen, but he grew a pretty boring mustache. 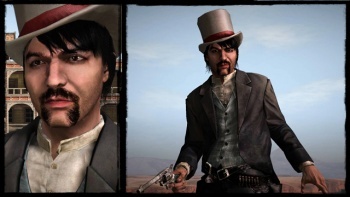 Rockstar Games began a contest back in November to find the person with the best mustache, who would then be immortalized as a character in Red Dead Redemption. The winner has been chosen, but he's got a mustache that is not unlike something you'd see on any normal person walking down the street. Just look at that thing, it's nothing but a goatee with a little section shaved off of the chin. This is an affront to the Wild West, Red Dead Redemption's setting, when mustaches and giant beards were arguably at their grandest level of stature in society. There is even a whole club of men that would be disgusted if they saw Rockstar's choice. 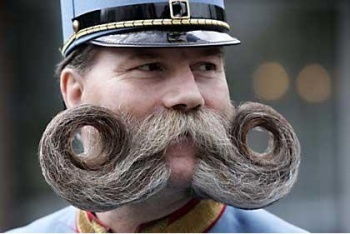 Now those guys, they know what a good mustache is. There's a guy that deserves to be hunted down and killed in a videogame. I should probably calm myself a few levels, as this whole contest was held to highlight men's health issues along with an event called Movember and all that. However, this chosen mustache, it just sends me into a rage.